The Recaro Performance SPORT is a high back booster with a 5-point harness and LATCH installation capabilities. This seat performed below average in most of our tests with no real standout features or functionality. 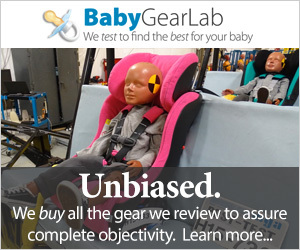 The crash test results were basic and the ease of use disappointing for a product at this higher price point. While it has a quality feel about it, our testing tots indicated it wasn't comfortable and they didn't have room to move their arms and the headrest isn't good for napping. With a higher weight and wider seat bottom, the Recaro is hard to move and a pain to carry. This booster fails to hit the mark in any metric that may be important to parents or kids. The Recaro is a high backed booster with a 5-point harness you can use until your child is 65lbs. Wilhelm Reutter started the Stuttgart Body and Wheel Factory (Stuttgarter Carosserie- u. Radfabrik) in 1906. They made primarily auto bodies and wheels. The company is involved in designing the predecessor of the modern-day convertible and prototypes for the Volkswagen (beetle), and they built the first Porsche in 1950. REutter CAROsserie became RECARO in 1963 when Porsche purchases the factory. Recaro creates innovative seating concepts for aircraft and autos before branching out to child safety products in 1998. The chart below is a comparison of the overall scores for the booster seats tested in this review including the Recaro (in blue). The sections below include information on the Recaro's performance during testing compared to the competition. Our crash tests indicate that the Recaro provides an average or basic level of protection compared to the competition. The Recaro earned a 6 of 10 for crash test results. This is the average for our group and indicates a basic level of protection compared to the competition. While all of the seats have passed the Federal minimum standards and are therefore considered safe, we gave additional points to seats that earned better results than the average for the group. This graph shows a comparison between the top performing Evenflo Spectrum (green) compared to the Recaro (black). The Recaro test results for the head sensor (HIC) on the test dummy was 642 where the lower the score the better. The Federal maximum allowed is 1000. As you can see this is below the maximum, but it isn't as good as the Evenflo Spectrum that had a result of only 456, the lowest in our tests.The graph above is a visual comparison of the forces exerted on the crash test dummy during testing for the Recaro and the Evenflo Spectrum. This graph shows a comparison between the top performing Peg Perego Viaggio Flex (green) compared to the Recaro (black). The Recaro chest sensor (g) results were 46 and the maximum allowed for this test is 60. Again, it scored below the max, but it still scored higher than the average in our tests of 44 and higher than the best of the group, the Peg Perego Viaggio Flex 120 with a result of 39. The Recaro earned a 4 of 10 for ease of use in our tests. The Recaro is a high back booster that positions the belt through color-coded locations across the seat bottom and near the headrest over the child's shoulder. The retainers for the lap belt are far forward (above left) and it is difficult to keep the belt in the retainer when buckling. The location also caused the belt to lock up when buckling which is frustrating. The shoulder belt stays in place (above right), but can also cause locking up if the belt isn't fully released after each use. Installing the Recaro is ok and generally easy if you need to move it to another vehicle if you are using the LATCH attachment (above left). However, when using the vehicle belt to secure the seat it is harder and the seat itself is bulky so maneuvering it into and out of a backseat is annoying. The seat bottom is only partly smooth so it could do wear damage to the vehicle seat over time without a vehicle protector (above right). The headrest release button is on the seatback (above left) so the seat can't be installed when you adjust it. This means your child may need to get in and out to find the right height. While you can do it by feel, it is much easier if the seatback is facing you. Given that many convertible car seat headrest/shoulder height adjustment can be done from the front with a baby in the seat this seems like a design flaw. This booster can be used with the 5-point harness (above right) for children up to 65lbs or with the vehicle belt up to 120 lbs. The Recaro is both heavy and fairly large making it more difficult to move from one ar to another than smaller options. The Recaro earned a 4 of 10 for weight and size. This product weighs 22.6lbs making it the second heaviest booster in the group with only the Britax Frontier ClickTight weighing more. It measures 18.6 inches wide across the seat which is wider than most of the competition and unlikely to allow 3 boosters across in an SUV. The weight and size also make it cumbersome to move and carry if you are switching cars. The Recaro has less padding than any of the competition and testers reported it was uncomfortable. The Recaro earned a 4 of 10 for comfort. Our tiny testers indicated that the seat was hard and the fabric is rough. They complained of not having room to move their arms and that the headrest isn't comfortable for napping. This seat has the least amount of padding aside from the mifold seatbelt adjuster that has no padding, and grown-up testers felt the fabric was okay compared to some of the competition and that the headrest area was at least deep even if it splayed out too much to lean on while snoozing. The Recaro has a mesh cup holder that may not be reachable for smaller children using the 5-point harness. The Recaro comes with a mesh cup holder on the side, but depending on how old your child is or how long their arms are they may not be able to reach it when using the 5-point harness. While the Recao seems sturdy and has attention to detail, the overall product feels sloppy compared to the more "finished" competition. The Recaro earned a 7 of 10 for quality. This is the average for the group which means there is nothing extraordinary about it. The padding and fabric are relatively soft but there isn't much padding and the fabric isn't as nice as others. The shell itself is sturdy and the seat uses EPS foam (fairly standard in the car seat industry) which we don't like as much as EPP foam which is more pliable and doesn't off-gas. The overall fit and finish are sort of sloppy looking even if the components seem to come together nicely to create a solid product.